Annotation: The Hugo Award Winner–2002 The Nebula Award Winner–2002 A master of inventive fiction, Neil Gaiman delves into the murky depths where reality and imagination meet. 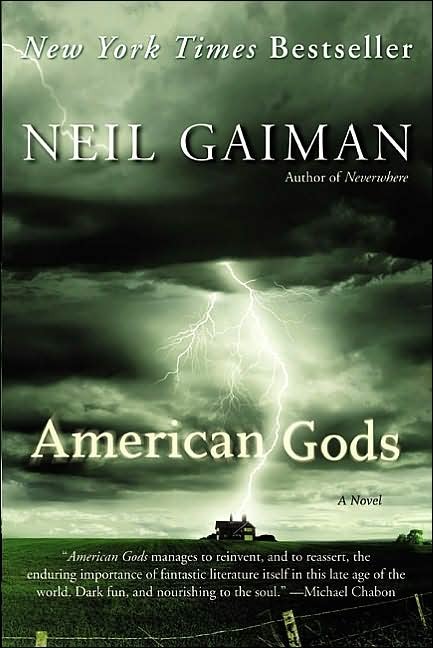 Now in American Gods, he works his literary magic to extraordinary results. Shadow dreamed of nothing but leaving prison and starting a new life. But the day before his release, his wife and best friend are killed in an accident. On the plane home to the funeral, he meets Mr. Wednesday—a beguiling stranger who seems to know everything about him. A trickster and rogue, Mr. Wednesday offers Shadow a job as his bodyguard. With nowhere left to go, Shadow accepts, and soon learns that his role in Mr. Wednesday’s schemes will be far more dangerous and dark than he could have ever imagined. For beneath the placid surface of everyday life a war is being fought—and the prize is the very soul of America. This book must be in the old form and archaic fantasy. this book in forms and archaic fantasy.